Jae Edmonds is a Chief Scientist and Battelle Fellow at the Pacific Northwest National Laboratory's (PNNL) Joint Global Change Research Institute, and Adjunct Professor of Public Policy at the University of Maryland at College Park. Dr. Edmonds is the principal investigator for the Global Energy Technology Strategy Program to Address Climate Change, an international, public-private research collaboration. His research in the areas of long-term, global, energy, economy, and climate change spans three decades, during which time he published several books, numerous scientific papers and made countless presentations. His most recent book, Global Energy Technology Strategy, Addressing Climate Change, distills more than a decade of research on the role of technology in addressing climate change. 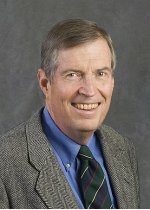 Dr. Edmonds has served in the capacity of Lead Author on every major IPCC assessment to date and presently serves on the IPCC Steering Committee on "New Integrated Scenarios," He serves on numerous panels and advisory boards related to energy, technology, the economy and climate change. Chester L. Cooper Award for Mentoring, PNNL, 2006. Iyer G.C., L.E. Clarke, J.A. Edmonds, G.P. Kyle, C.M. Ledna, H.C. McJeon, and M.A. Wise. 2017. GCAM-USA Analysis of U.S. Electric Power Sector Transitions. PNNL-26174. Richland, WA: Pacific Northwest National Laboratory. Manning M., J.A. Edmonds, S. Emori, A. Grubler, K.A. Hibbard, F. Joos, and M. Kainuma, et al. 2010. "Misrepresentation of the IPCC CO2 emission scenarios." Nature Geoscience 3, no. 6:376-377. PNNL-SA-70040. Clarke L.E., J.A. Edmonds, V. Krey, R.G. Richels, S. Rose, and M. Tavoni. 2009. "International Climate Policy Architectures: Overview of the EMF 22 International Scenarios." Energy Economics 31, no. 2:S64-S81. PNWD-SA-8776. Wigley T.M., L.E. Clarke, J.A. Edmonds, H.D. Jacoby, H.D. Jacoby, S. Paltsev, and H.M. Pitcher, et al. 2009. "Uncertainties in climate stabilization." Journal of Climate 97, no. 1-2:85-121. PNNL-SA-55498. Clarke L.E., J. Weyant, and J.A. Edmonds. 2008. "On the sources of technological change: What do the models assume." Energy Economics 30, no. 2:409�424. PNNL-SA-62947. Moss R.H., M. Babiker, S. Brinkman, E. Calvo, T. Carter, T. Carter, and J.A. Edmonds, et al. 2008. "Towards New Scenarios for Analysis of Emissions, Climate Change, Impacts, and Response Strategies." In IPCC Expert Meeting Report: Towards New Scenarios, 132. Geneva:Intergovernmental Panel on Climate Change. PNNL-SA-63186. Edmonds J.A., and L.E. Clarke. 2007. "Forum." Issues in Science and Technology 23, no. 2:16-17. PNNL-SA-52455. Edmonds J.A., and S.J. Smith. 2006. "The Technology of Two Degrees." In Avoiding Dangerous Climate Change. 385-392. Cambridge:Cambridge University Press. PNNL-SA-45609. Edmonds J.A. 2005. "Unanticipated Consequences: Thinking About Ancillary Benefits and Costs of Greenhouse Gas Emissions Mitigation." In The Global Carbon Cycle: Integrating Humans, Climate, and the Natural World (SCOPE Series), edited by Chris Field and Michael Raupach. 419-430. Washington, District Of Columbia:Island Press. PNNL-SA-37864. Edmonds J.A., F. Joos, N. Nakicenovic, R.G. Richels, and J.L. Sarmiento. 2005. "Scenarios, targets, gaps, and costs." In The Global Carbon Cycle: Integrating Humans, Climate, and the Natural World (SCOPE Series), edited by Chris Field and Michael Raupach. 77-102. Washington, District Of Columbia:Island Press. PNNL-SA-44768. Kheshgi H., S.J. Smith, and J.A. Edmonds. 2005. "Emissions and Atmospheric CO2 Stabilization: Long-Term Limits and Paths." Mitigation and Adaptation Strategies for Global Change 10, no. 2:213�220. PNNL-SA-38439. Manne A.W., R.G. Richels, and J.A. Edmonds. 2005. "Market Exchange Rates or Purchasing Power Parity: Does the Choice Make a Difference to the Climate Debate?." Climatic Change 71, no. 1:1-8. PNNL-SA-43413. Dilling L., S. Doney, J.A. Edmonds, K.R. Gurney, R. Harriss, D. Schimel, and B. Stephens, et al. 2003. "The Role of Carbon Cycle Observations and Knowledge in Carbon Management." In Annual Reviews of Environment and Resources. 521-58. Pablo Alto, California:Annual Reviews. PNNL-SA-39112. Dooley J.J., J.A. Edmonds, R.T. Dahowski, and M.A. Wise. 2003. "Modeling Carbon Capture and Storage Technologies in Energy and Economic Models." In Proceedings of the IPCC Workshop for Carbon Capture and Storage, 161-172. Petten:ECN. PNWD-SA-5848. Edmonds J.A., and G.M. Stokes. 2003. "Launching a Technology Revolution." In Climate Policy for the 21st Century: Meeting the Long-Term Challenge of Global Warming, edited by David Michel. 153-186. Washington, District Of Columbia:Center for Transatlantic Relations. PNNL-SA-40846. Edmonds J.A., and R.D. Sands. 2003. "What are the costs of limiting CO2 concentrations?." In Global Climate Change: The Science, Economics, and Politics, edited by James M. Griffin. 140-186. Cheltenham:Edward Elgar Publishing. PNNL-SA-36836. Dooley J.J., C.A. Geffen, and J.A. Edmonds. 2002. "Global Climate Change and the Unique Challenges Posed by the Transportation Sector." In Proceedings of the 8th Diesel Engine Emissions Reduction Conference, San Diego, CA, August 26, 2002. San Diego, California:8th Diesel Engine Emissions Reduction Conference. PNNL-SA-128247. Edmonds J.A., P.F. Freund, and J.J. Dooley. 2002. "The Role of Carbon Management Technologies in Addressing Atmospheric Stabilization of Greenhouse Gases." In Greenhouse Gas Control. Proceedings of the Fifth International Conference on Greenhouse Gas Control Technologies, GHCT-5, edited by David Williams, Bob Durie, et. al., 46-51. Collingwood:CSIRO Publishing. PNWD-SA-5131. Edmonds J.A., J.M. Roop, and M.J. Scott. 2001. "Technological Change and Its Effects on Mitigation Costs." In Climate Change: Science, Strategies, & Solutions, edited by Eileen Claussen, Vicki Arroyo Cochran, Debra P. Davis. 209-226. Boston, Massachusetts:Brill. PNNL-SA-38233. Scott M.J., R.D. Sands, J.A. Edmonds, A.M. Liebetrau, and D.W. Engel. 2000. "Uncertainty in Integrated Assessment Models: Modeling with MiniCAM 1.0." Energy Policy 27, no. 14:855-879. PNNL-SA-29505. Smith S.J., T.L. Wigley, and J.A. Edmonds. 2000. "A new route toward limiting climate change?." Science 290, no. 5494:1109-1110. PNWD-SA-5157.